There are many arguments for legalized marijuana— the medical benefits of cannabis, the social justice concerns, the fact that it makes concerts better— but arguably the one actually driving legalization is the economic argument. If you’ve watched or read anything about cannabis in the past year, you’ve likely heard someone say “green rush,” and anytime you hear finance people use the word “rush,” you know there is money to be made. With the Canadian market—now the largest legal market in the world—estimated to be worth $5 billion, it’s no wonder cash-strapped communities at every level are giving legal cannabis a try, especially as public opinion appears to be shifting rapidly in favor of legalization. According to a Pew Study published in September, 62% of Americans support legal cannabis. That’s double what it was in 2000. "The Pueblo cannabis industry, along with much of the rest of the State of Colorado cannabis industry, has enjoyed robust growth. Investment has been made, new construction has occurred, jobs have been created, tourism has pumped millions of dollars into our economy, and governments have collected large amounts of tax … When compared to other similar communities in states where cannabis is not legal in any form, Pueblo appears to be doing better on a number of measures." To cities and states across the United States trying to balance their budgets, the economic benefits of cannabis can’t be ignored. The argument itself is compelling—any argument with the word “billion” usually is—but the real impact of the paper came when a group of over 500 economists—including Nobel Prize winner and guy-you-least expect-to-be-420-friendly Milton Friedman—endorsed it and sent it directly to President George W. Bush. “We, the undersigned, call your attention to the attached report by Professor Jeffrey A. Miron,” the letter begins, before summarizing the economic benefits: how much it would save in enforcement, the tax revenue. To understand why Friedman would advocate for pot smokers, you need to understand his brand of “free market capitalism,” which is a direct descendant of Adam Smith’s ideas in The Wealth of Nations. “Adam Smith’s flash of genius,” Friedman wrote in his 1980 book Free to Choose, “was his recognition that the prices that emerged from voluntary transactions between buyers and sellers—for short, in a free market—could coordinate the activity of millions of people, each seeking his own interest, in such a way as to make everyone better off.” For economic thinkers like Friedman, Smith, and the framers of the US Constitution, the operation of a free market—rather than, say, a centralized authority like the former Soviet Republic—is the most effective way to organize a society as large as the United States. Simply by allowing citizens to voluntarily buy, sell, and produce whatever they want (or can) in an attempt to improve their individual situation in life, the society magically produces all the things it needs to operate and grow: food, housing, clothing, entertainment, Crocs. All of it. There’s no central authority planning out all these products and services. We make Crocs when we need ’em through the free market, itself a sort of economic wisdom of crowds. The government’s role in all this is mostly to stay out of the way. Any government meddling, according to Friedman—even that done in the name of consumer protection—merely increases the size of government and kills economic growth. This is why free market economists hate prohibition of anything, including cannabis. Not only does it disrupt the operation of the market—which if left alone, they argue, would find equilibrium on the prohibited object—but it more often than not also creates a black market, which, under free market reasoning, equals unproductive money, money siphoned out of the national economy and into criminal organizations and other countries. A black market is a tumor on the otherwise pristine free market economic organism. "Prohibition didn’t stop drinking. It did convert a lot of otherwise law-obedient citizens into lawbreakers. It did confer an aura of glamour and excitement to drinking that attracted many young persons. It did suppress many of the disciplinary forces of the market that ordinarily protect the consumer from shoddy, adulterated, and dangerous products. It did corrupt the minions of the law and create a decadent moral climate. It did not stop the consumption of alcohol." It may not have stopped consumption, but it did stop the tax revenue that came from consumption, and so when the Depression hit in 1929, all those dry states wanted their liquor money back. With opposition to Prohibition mounting and a number of states financially unable to even enforce the prohibition rules, the country ratified the 21st amendment in 1933, repealing Prohibition and reopening the liquor industry. "From the moment he took charge of the bureau, Harry was aware of the weakness of his new position. A war on narcotics alone—cocaine and heroin, outlawed in 1914—wasn’t enough. They were used only by a tiny minority, and you couldn’t keep an entire department alive on such small crumbs. He needed more." He found the “more” he needed in marijuana. Starting in the 1930s, and fueled by anti-immigrant attitudes, the government ramped up its crackdown on the plant (Reefer Madness, etc. ), and so here we are again: a thriving black market; individuals and states openly flouting federal law; a government in fiscal crisis; a repeal movement driven by an economic argument. However, while the economic argument for legalization may be straightforward, the economic reality of legal cannabis is anything but. The emerging cannabis market is like nothing the economy or the culture has ever seen, and how it will play out is anyone’s guess. While there are many parallels to the period of alcohol prohibition, our world is a very different one from the US of the 1930s, and the cannabis plant is a very different product. For starters, there was no pre-prohibition cannabis industry to speak of. Jack Daniel’s, Anheuser-Busch, and Coors, for example, all existed before Prohibition. There was a thriving liquor industry in this country before it became illegal—there were an estimated 1,000 breweries operating in the US in 1918—and a lot of those businesses and institutional knowledge survived the 13 years it took to repeal the law. Cannabis claims none of that. All of the experience and industrial knowledge comes from the black market. This not only creates an odd culture clash with MBA-toting venture capitalists pumping money into formerly frowned-upon operations, but it also means everything we know about how to grow and consume the plant comes from a culture—rappers, stoners, and the like—that the mainstream only until very recently kept at arms length. This means: no one knows what a legal weed market even looks like. One way in which the black market past of cannabis directly affects the industry: the industry is one of the most regulated in the country. In order to get ballot measures passed, those running pro-legalization campaigns have acquiesced to heavy amounts of regulation from the state governments, all of whom are hearing an earful from concerned parents, business owners, and other people worried about what legal marijuana means for their community. In addition to mucking up the workings of the free market, regulations also tend to favor larger businesses. Essentially, it takes money to follow all the rules and show that you are following all the rules. This is doubly so in the US cannabis market because we are legalizing state-by-state, meaning the regulations are different everywhere you go. As if that weren’t enough, remember that there is still a federal ban, which means that banks, all of which are supported by the FDIC, won’t touch cannabis money. This means that, amazingly, cannabis is still a cash business, with all the complications that come with that, including the difficulty of raising money. 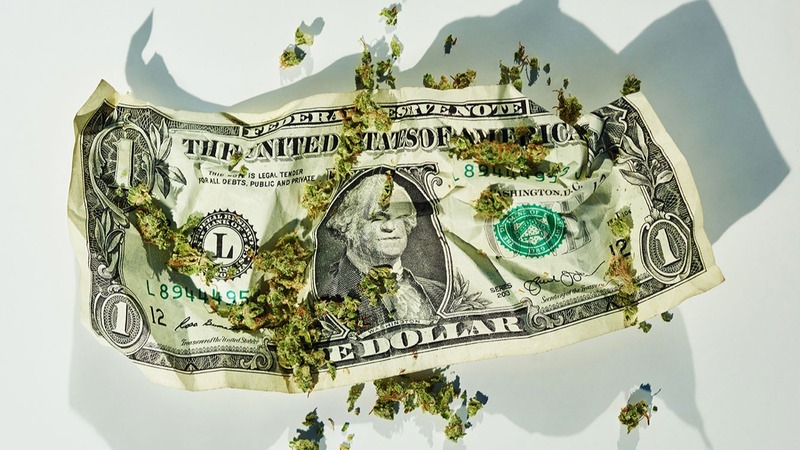 The short-term impact of this means that a lot of cannabis start-ups in the US right now are looking to join up with larger cash-rich umbrella corporations to fund their growth. Companies like Tilray, Canopy Growth, and MedMen are buying up cannabis “assets”—everything from grow houses to cannabis patents—across the globe, and some are even going public to great fanfare on both the Canadian and NY stock exchanges. With more and more legalization efforts underway across the world, the US risks losing out on what some estimate to be a $31.4 billion industry globally. This includes not just the sale of legal cannabis, but also, importantly, the research on it. As a Schedule 1 drug in the US, it’s very difficult for companies or universities to study the plant here. Instead, they outsource their research to countries where it is legal, like Israel, which leads the world in cannabis research. The more we study it, the more we learn what cannabis can do—from medical to industrial uses—as well as how our bodies respond to it. Israel has a considerable head start on all that intellectual property. The federal legalization of cannabis would all but erase these complications. If and when Congress passes that legislation, banks can accept cannabis money, which means cannabis businesses have access to traditional financing routes; regulations are standardized (if not fully removed as Friedman would have wanted it), which makes it less onerous to start and grow a cannabis business; and American scientists can start researching the plant in earnest. Jeff Miron thinks that day is still a good 10–20 years away, but even that would have been unthinkable 10 years ago. “The thing that gives me hope,” Miron says, “is that public opinion seems to be continuing in support for legalization. So as long as that persists, politicians will tend to respond to that.” It doesn’t hurt that marijuana offers an economic lifeline for states in a budget crisis. “The fact that they can get some extra tax revenue and fund more teachers or firefighters or police officers, that certainly helps,” Miron agrees. “Especially in the court of public opinion.” But as if to underline how little we can predict in the cannabis industry, Miron follows up, “Of course, pendulums do swing in both directions. That’s the nature of pendulums.” Still, if 2018 is any harbinger for the future, Friedman and Miron’s vision of legalization may be even more readily tangible than either could’ve guessed. In a word: unprecedented"